In the past few months, I have been contemplating to go back to residency training here in Cebu City, after not successfully matching for a residency position in the United States. The prevailing question was, "Where in Cebu City?" "Which training hospital?" 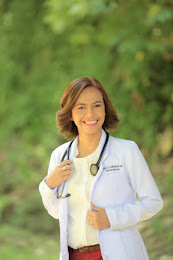 Of course, I did not count out Cebu Velez General Hospital as one of my choices, since it is where I did one year of residency in Internal Medicine. However, what-if questions were flooding my mind big time. I had to have a back-up plan. There were three more hospitals to choose from - Chong Hua Hospital, Cebu Doctors' University Hospital, and Perpetual Succour Hospital. The question of where to train might seem easy to answer but it actually isn't. 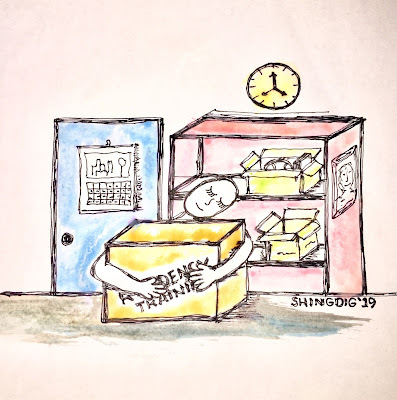 The incoming resident, who actually is an incoming slave of the residency training program has to consider a lot of factors, and I can't begin to describe how enormous the considerations are. Thus, day and night, I was haunted by that question which demanded an immediate answer. I had to decide so I could move on. But I was utterly confused. Then here comes my doting mother, who probably saw and felt how burdened I was. In the goal of helping her daughter, she gave me an advice, "Sa Cebu Doc na lang, Shing. Kay one ride ra. (Go for Cebu Doctors', Shing. Anyway, it's one ride away from where you live.)" I did not react one bit. But inside my head, I had a wide grin. My mom is not from the medical field so I found her gesture of advising me as something sweet and heartwarming. Even if she did not know what she was actually saying. Location of the training hospital is one of the last things an incoming slave, uhm, resident considers, and probably, he or she will never give it a thought at all. I mean, once a doctor makes up his mind which city or hospital to train in, the question of commuting to the training hospital comes way down the list. The mantra is, choose the city or the hospital where you want to train, and you simply look for a pad or a place to stay that is as much as possible, not so distant from that hospital. My mother happened to consider it the other way around. Hehehe. Mothers. They have their own way. Her advice might not have served a major (major) point in the decision that I made but surely, she made me smile and made me feel loved as always. With what she said I knew - though it didn't show - that deep in her thoughts, she was also grappling for the answer to the ultimate question. Deep inside, she was sharing my yoke. This happened a few months ago but each time I recall this scene with my mother, it never fails to make me smile. Mothers. They really have their own way. I love you, Mom. Hello Wot! Thanks. It's okey, everything happens for a reason. I am learning to accept that. See you around. Thanks for dropping by.